I recently discovered Provence Gifts which carries personalized gifts. They carry something fo r every one ! When I visited the site the first thing that caught my eye was the Monogrammed Coffee Travel Tumbler. I am one of those people that has a drink with me at all times, so why not have my drink in something cute & stylish ! 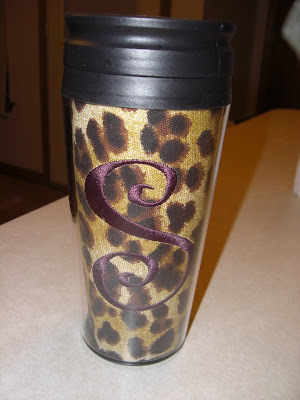 I was thrilled to have a chance to review one, I received the Cheetah Tumbler with my initial in purple ! It holds 15 ounces and is made of double wall acrylic travel tumbler with a fabric insert. It is suitable for hot or cold beverages. Hand washing is recommended for the tumbler. Since receiving my travel tumbler I have used it almost daily ! With my boys starting back to school soon and sporting events, this cup will get tons of use. At Provence Gifts, we know you're looking for a gift that stands out among all others and is as unique as you are! We work with many artists and designers to bring you a large selection of fine gifts all in one place. We hope you enjoy presenting these gifts as much as we enjoy creating them for you. Please feel free to contact us for assistance in choosing “just the right gift” for all the people on your gift-giving list. Provence Gifts has a gift for birthdays, holidays and special occasions for anyone on your gift-giving list ! SAVE: enter "happyspring" at checkout and receive 15% off you order at Provence Gifts ! That cup is pretty! I like the monogrammed wall art too! 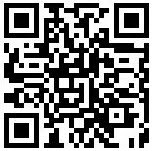 I love personalized gifts so I need to take a better look at this site towards holiday time. Thank you for sharing this really great shop. I love their products. Great unique gifts throughout the year! I think my favorite is the Pink Swirl Reusable Tote Grocery Bag!! !